Getting a steady stream of clients is the foundation for any successful business. Thankfully, if you’re like me and hate cold calling, there are plenty of alternatives. To get a ton of ideas, I asked 70+ agencies how they get clients and here are some of the best replies. 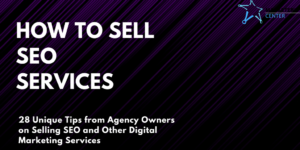 When you’re done reading below, be sure to check out a ton of tips on how to sell SEO as well. Look at accelerators and incubators. Find a sales funnel that works and stick with it. I have one source of leads for getting clients and it’s predictable. Once you know the process works it’s basically a numbers game. One of the best current methods we use is attending trade conferences and meeting business owners face to face. Nothing beats having a real conversation with other entrepreneurs and they are much more trusting sooner when you shake hands in person. I always think it’s good to have a specific target type of client. That could be an industry or type of person. Once you have that, find out where that client is online and market yourself at that same place. Pick a relatively easy keyword for their business and rank a website on the first page for it. Ask the client if they’d like you to provide the service for their website before you sell it to one of their competitors. Best clients we ever get are ones who find us through organic search or social media. You have to rank in the top five for your city in organic and GMB listing and you must produce content (videos, articles, infographics) that answer your potential clients questions. We push out content through LinkedIn and Facebook to draw the prospects in and then drip content to them every week. No matter whether I get the business or not, I always ask for introductions to other business owners they may know that might have an interest furthering their online brand to bring in more customers. Some will say they don’t know anyone, some will mention, “”my buddy Frank has a few locations and was just talking about Facebook marketing, do you do that too?,”” or something similar to that. Each warm introduction is worth the price of 10 cold introductions cold calling or going B2B. That’s because there’s always some built in trust with the prospect because it’s a warm referral. Doing business with warm referrals makes for easier prospecting, rather than relying on direct mail, cold calling, or going B2B – plus it’s free to do! For the first clients, work your social circle and from there try to get recommended by those businesses and offer them a referral fee. Authenticity matters. Be transparent. It takes a bit to start bringing clients on board. Someone you talk to may not be ready today, but I’ve had several come back 3-6 months later when they were ready. Many people get told no, and simply give up. This business takes perseverance and dedication. Well, if you sell SEO the best way to get clients is through SEO. This is where your skills are and you automatically can proof that you are able to deliver results. Referrals have worked really well for me. I just ask existing customers if they can recommend anyone needing SEO or digital marketing services. The deal I offer is If they refer 3 customers that sign up for equal or greater value services, I will give them free SEO services. I don’t offer this up front, only after we have the call when they are starting to see some results. They start to see the value in a more tangible way and are eager to refer me, especially for free services. Get tons of positive reviews, and get mentions on major media outlets. This will increase trust. This industry has been tarnished by spammers. Clients need to feel like they can trust your agency or they’ll hit the back button and find one of your competitors. Operate in a single niche. Find a pain point you can offer for each niche that cost very little. For example, we focus on the Dental niche. So when prospecting for clients, we offer them a listing on our dentist directory for free as a way to start conversations. Get a link to your agency from your clients sites. Their visitors are business people that are looking to duplicate success. The referrals from those visits are highly targeted and are aware of your ability – they are slam dunk sales. For me it’s easier to keep my clients happy than it is to find and sell to new clients. Happy clients will also refer business to your agency. Networking has always been the easiest way for me to gain new clients. Referrals are the best clients and most clients pass on the word for you. I have also had success by gaining partnerships with local companies such as website designers and IT companies. Make sure everyone knows you and your services. It is 100% about referrals and reputation. If your business has neither, you need to build that credibility. Start at the lowest level and work your way up until you can handle businesses with a higher degree of technicality. You can’t just start at the top with big brands because you’ll make mistakes and they can sense you are faking it. 1) I prefer content marketing(articles & video) to build trust and authority and organic reach. Start with a friend, associate, or rank a site in a niche before pursuing client work. Many clients will ask for proof and a big barrier to entry to generate leads is lack of reputation. Build your rep with friends and your own stuff first so you have the case studies on hand as social proof. My best tip for landing an SEO client is doing something out of the ordinary. Emailing business owners and cold calling them is something many of them receive weekly if not daily from other companies that are either not opened or answered. Think of out of the box techniques to get your potential client to listen to what you have to say and then have the proof to back up your claims. Getting new clients for an SEO agency is no easy task. One of my tips for getting new clients is to pick a niche (if you don’t already have a niche for your agency) and then go to the Google Ad Preview Tool. What you’re going to be doing is finding local businesses in a certain niche (like doctors) who are doing Google PPC ads but don’t show up in the organic listings on the first page. With the Google Ad Preview Tool you’ll be able to easily change the location of the search so you can check any city. These businesses doing Google PPC ads are spending good money on Internet marketing and they know it works. They are perfect for pitching SEO to (you can present it to them as saving money while getting a better ROI). Setting up a booth at a trade show is great especially if you work with a niche. Every month trade shows take place all over the world in almost every niche. Pick a niche you want to do SEO for and go setup a booth at the next show. A confused mind doesn’t buy – keep your initial offering simple and easy to understand. Once they see results from a service they understand (GMB or reputation marketing) then build on that to move into other services. Employ multiple areas of exposure for your brand, paid, classified, referrals, in-person meetings – do good work and the clients will follow. Never fail to promote yourself daily. Referrals. Your current client is also your future new client. Those expectations you set with your current client? Deliver on them. Demonstrate through your work that you’re there to do exactly what you said you were going to do; that you’re there to put your client in a position to succeed by putting a stranglehold on their target market. Don’t spend too much time or money designing the best logo, website, or social media accounts until you can actually afford to. Build yourself a lean start up and focus on prospecting. If starting out, focus locally at local business networking functions and groups. Join your local chamber of commerce and get known locally as the expert. Donuts! Donuts help me get past the gatekeeper and usually gets an intro meeting. Give something away for free first before charging. This doesn’t mean you should work for free for the client… here’s some ideas to get you started. 1) Rank a video for the client for free and show them results in advance – pick a long tail keyword and get them ranking with the video – then show them what else you can do. 2) Give them a free analysis of what they are not doing, what they could be doing and what this would mean for their business. Pick a lead channel and stick with it. If you’re going to use Adwords for lead generation, refine your campaigns and landing pages. Split test and get them running as well as possible. Only then move onto something different. The best tip that I have is to do a great job for your clients by exceeding their expectations, and ask them for referrals while they are happy with the work. With a strong referral program and strong testimonials, you will grow your business with new clients. I use Brennan Dunns roadmapping as a way to engage as a tripwire, small up front fee that allows both client and myself to ‘build’ out the proposal. It shows that I’m different from the other agency’s who push their tactics, while I come in as the strategic expert providing the way forward. Search for clients that you can build an ongoing relationship and look for niches that excite you. Also don’t be limited by your own imagination. Look for clients outside of your box. Fix a real problem. Find a potential client who has real issues that are holding them back. Contact them and offer to fix it at no cost. This presents the opportunity to create a real relationship. The client gets to talk to you, and attain an appreciation for your knowledge without the usual fear attached to being sold. Help people. Word of mouth and recommendations will come off of the back of that. That could be through local workshops, local meet ups, networking at local events, regular blogging etc. Whatever clients you have, go above and beyond to deliver. Whenever I have done extra tasks to help the business, they have told all their business buddies and I have got more work. Time spent perfecting your product is far more effective than time spent promoting yourself because the end result is a better product that sells itself. If your brand new, get a good list of people you know or have some connection to and pick up the phone. Family, Friends, people you currently do business with and ask for some business or a referral. Get your first few clients however you can. If you can’t figure out how to get someone to pay you what you want to get paid, just get the first clients and figure out the rest later. That case study and testimonial (video if possible) is the proof you need to go out and get paying clients at the rate you you deserve. Build a brand and website focused around one particular niche (e.g. lawyerseo.com). You will rank the website easily due to the EMD and attract clients far more effectively. Offer them a free audit and push it hard. People love to test it out and they want a good audit! Don’t let the obstacles or setbacks get you down. It’s a numbers game… The more you put yourself out there the greater your chances of closing new clients. I always run an initial website analysis before providing a quote or talking to a prospect to make a good first impression. A simple aherf.com check can identify algorithmic penalties, ranking drop, previous SEO activates and keywords they are trying to optimize. That information helps me propose timeline, pricing, activities and strategy on the first call or email. I include keywords with monthly search traffic in the area, their current rankings, the estimated time to see results, monthly activities and any other information regarding their campaign and website. 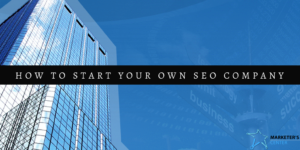 I know that many SEO companies won’t bother do the same and it helped me win many clients. In addition to finding a strong niche and really demonstrating value with your content – a great way to ingrain yourself in that culture is by showing up to their industry meetups and events. So many times when you get into a new industry (like marketing, SEO, etc.) we try to put ourselves around bunch of people who are doing the same thing as us – for camaraderie. But the real arbitrage is going to meet ups within a niche you can serve where no one else is doing what you’re doing. So once you find that holy grail niche – push into their industry hangouts, and be the only one in the room doing SEO where people really need it.